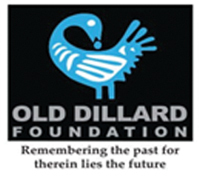 Old Dillard Foundation (ODF) has again been awarded a grant from Funding Arts Broward (FAB! ), a non-profit, volunteer-based arts organization committed to preserving and cultivating the arts in Broward County, Florida. The $`5,500 grant will be directly applied to the 2019 Cannonball Adderley Jazz Concert Series. “Old Dillard Foundation is excited to receive this Funding Arts Broward grant for our 2019 Cannonball Jazz Series. ODF presents this series in cooperation with the award-winning Dillard Center for the Arts Jazz Program,” said Pat West, President of the Board of Directors]. “We value the role that FAB! plays in our community which allows us to present artistic programs for all to enjoy.” We use these funds to bring renown jazz artists to our community. FAB! awarded a total of 24 grants this year valued at $180,000. Since its inception and with this grant cycle, FAB! has now provided more than $3 million to local visual and performing arts groups. For more information about FAB! including how to get involved, email fundingartsbroward@gmail.com or visit www.fundingartsbroward.org. Funding Arts Broward, (FAB!) is a non-profit volunteerbased arts organization committed to preserving and cultivating the arts in Broward County, Florida. FAB!’s mission is to enrich the local arts community by funding Broward County based visual and performing arts organizations that meet eligbility requirements and present high-quality programs to the public. Since its inception in 2003, the organization has granted more than $3 million to local visual and performing arts programming. Individual memberships along with corporate partner contributions from BBX Capital, Casa D’ Angelo Ristorante, Nova Southeastern University, Pallant Insurance, Northern Trust Bank and Craig Zinn Auto-motive Group fully fund the grants each year.